With our plus size fancy dress range you can look and feel amazing at any fancy dress party. 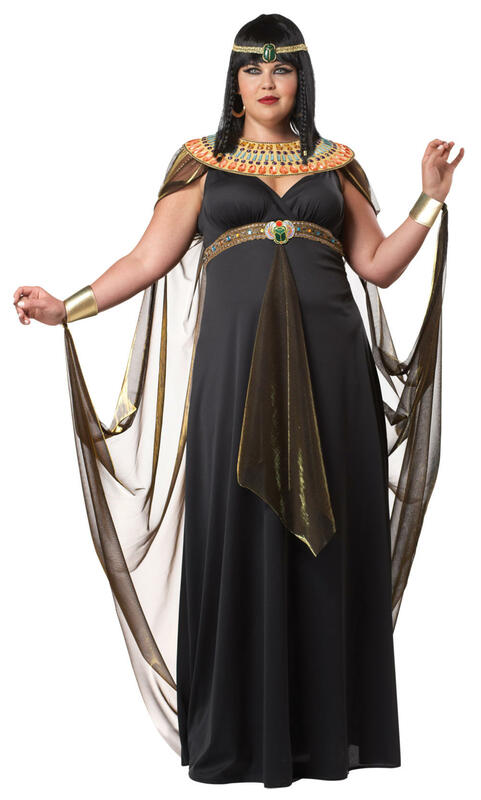 The latest in our plus size collection is a Ladies' Queen of the Nile costume, which will instantly turn your into the Egyptian Queen Cleopatra. The elegant Cleopatra costume is comprised of a full length black dress overlayed sheer gold fabric decorating the straps and waistband, to accessorize the dress there is a jewelled brown belt, and a sheer black cape. 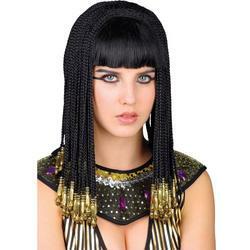 To finish off the look of an Egyptian queen there is a jeweled collar and gold headband. 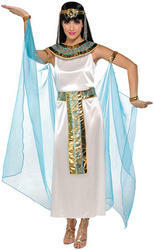 An attractive plus size costume to wear to an Egyptian fancy dress party.